I am a newbie to this wonderful world of Crown Lynn, a good friend introduced me to this interesting ceramics brand and I am getting hooked! 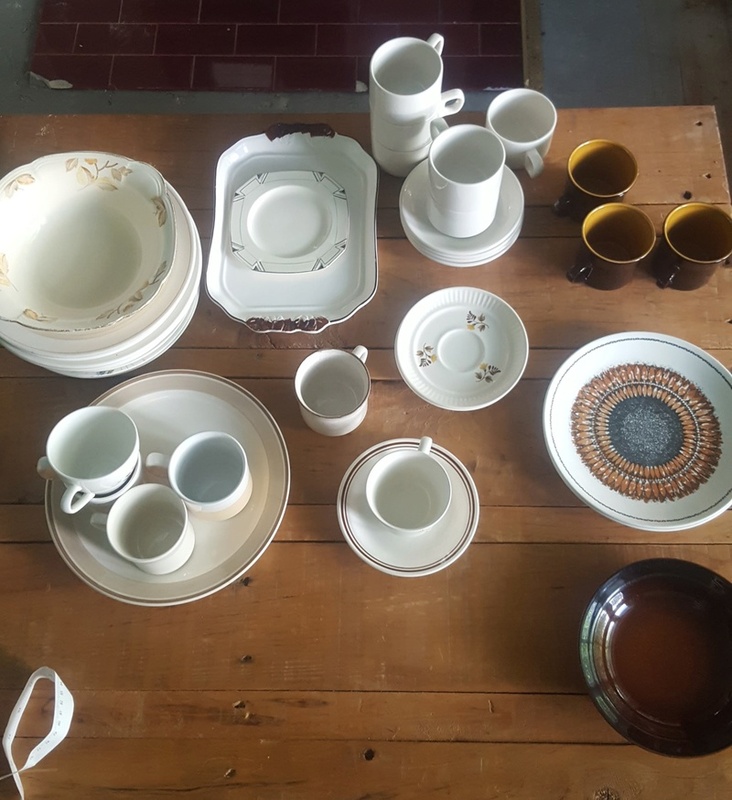 On a op shop spree today I picked up this lot of finds, over 30 pieces for $10. Felt like it was my day! 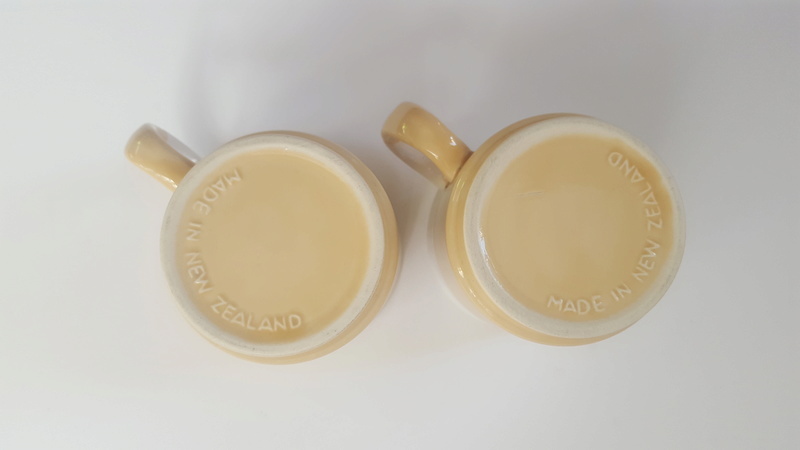 - x2 lovely two tones glazed mugs with Made in New Zealand stamped at the bottom. 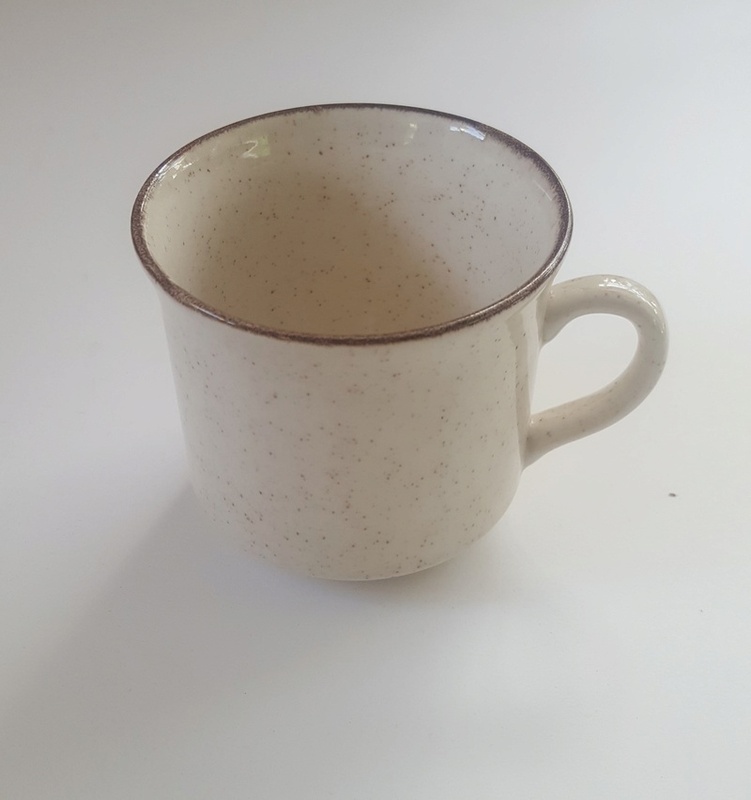 - x1 mug with a speckled finish also stamped with Made in New Zealand. Re: Two Crown Lynn mugs I assume? The second cup could be Cottage pattern or Homestyle Range. Here are 2 links to each pattern.